Finding your perfect home in today’s market can be a challenge for new and seasoned home buyers alike. Whether you are looking for a home in my hometown of Naples, Florida or anywhere in the world, there are some basic steps you should take to ensure your success. 1. Research before you look. 87% of buyers now begin their home search on the Internet according to the National Association of Realtors®. This is an important step that can mean more wasted time than not unless you find and use a comprehensive web site. 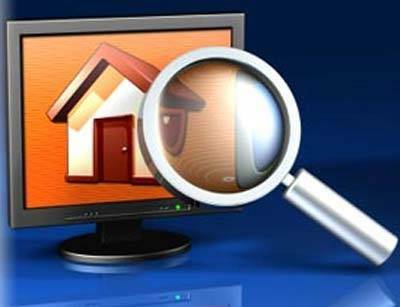 This portal to the local real estate multiple listing service (MLS) should allow you free access to all the local listings and the ability to narrow your search from a wide range of criteria. Sites that only allow you limited access until you send them your most intimate personal details and are nothing more than lead generation tools for the designers are not the places you want to be spending your time. Also steer clear of web sites that only give you the agent or office listings. You want to see everything in the local MLS and then narrow your search to the best of the best. Our site, www.whitesandsnaples.com is a prime example of what to look for in a local real estate search. We designed our web site to allow buyers from around the world to see everything for sale in Naples Florida. You can search for Naples foreclosures and eliminate short sales if you like. It even allows you to search for vacant land, rentals, and Naples commercial property. Once you find an easy-to-use site that allows you access to all MLS listings in the local area, go to the “About” tab and read about the experience and background of the company or Realtor who set up the site. If you like what you see, don’t be afraid to sign up for more information and email them directly with your contact information. If they respond timely and professionally, then you know you have found someone in the area that can help you find your dream home (see step 8). 3. Get your finances in order. Really this should be done prior to step 1. You don’t want to fall in love with something you can’t afford. Review your credit report and be sure you have enough money to cover your down payment and closing costs. Then, talk to a lender and get prequalified for a mortgage. This will help when it comes to negotiations. Many sellers will ask for your prequalification letter and if you already have it ready it will give you an edge and show your sincerity to the seller. This could lead to better pricing or terms on your end. Be wary of online lenders and amazing low rates. Chances are these entry rates will come with lots of additional fees tacked on. Also many of these online lenders work out of their homes and will tell you just about anything to get your business. Ask your local Realtor from step 1 who he recommends. Realtors tend to choose the best lenders that get the job done and keep their buyers happy. 4. Don’t ask too many people for opinions. It will drive you crazy. Select one or two people to turn to if you feel you need a second opinion, but be ready to make the final decision with your spouse or on your own. If you’ve done your homework in the above steps, you can be confident your making an educated decision. Don’t second guess yourself. Focus on the beauty of your new home and enjoy everything it has to offer. 5. Decide your moving time-line. When is your lease up? Are you allowed to sublet? How tight is the rental market in your area? All of these factors will help you determine when you should move. Remember that when you get to the negotiation table you will most likely have the edge if you can move quickly, especially if the property is vacant. Sellers expenses can add up if you delay the closing for more than forty-five days. Every month that goes by they have to pay more taxes and other fees to maintain the property. 7. Insist on a home inspection. Always do a basic home inspection from a reputable home inspector. Your Realtor should be able to recommend one or two inspectors. If mold or radon is suspected, don’t hesitate to add these to the inspection. Pool equipment should also be inspected by a pool company if it’s present. If possible, get a warranty from the seller to cover defects for one year. Some inspection companies provide warranties as well. 8. Research & Hire a REALTOR®. I mentioned this already in step one, but it’s worth mentioning again that you should be committed to one Realtor in the area where you’re buying. Google them by name and company and ask for references and reviews. I always tell my new customers to Google me at “Mark Weber Naples” and look up my reviews online. These are excellent sources to find background information on your local real estate professional. The Internet has the good, bad and the ugly. If there is someone out there they have wronged it will likely show up. Conversely if they are great at what they do, it will also show up in these simple background searches anyone can do. When you’re confident, hire a Realtor who specializes in buyer representation. Unlike a listing agent, whose first duty is to the seller, a buyer’s representative is working only for you. Buyer’s reps paid out of the seller’s commission payment. They work hard on your behalf to get you the best deal possible. They are obligated by law to be loyal to you and most of all protect you. Return the same loyalty to your chosen Realtor. If you see an open house on Sunday while driving by, let the agent inside know you are working with another Realtor and they should respect that. Keep some of your Realtors business cards and hand them out if another agent asks or hounds you for information. Loyalty is a two way street and you will be rewarded in spades when your Realtor goes to bat for you during tough negotiations. Loving where you live is one of the best feelings in the world. Follow these steps and you will find the home of your dreams. Remember it’s a process. You will go through ups and downs along the way, but in the end you will know you made the right decision.